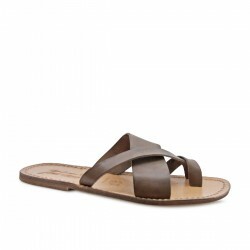 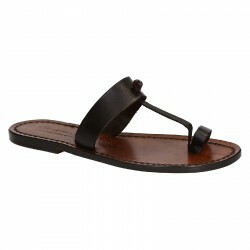 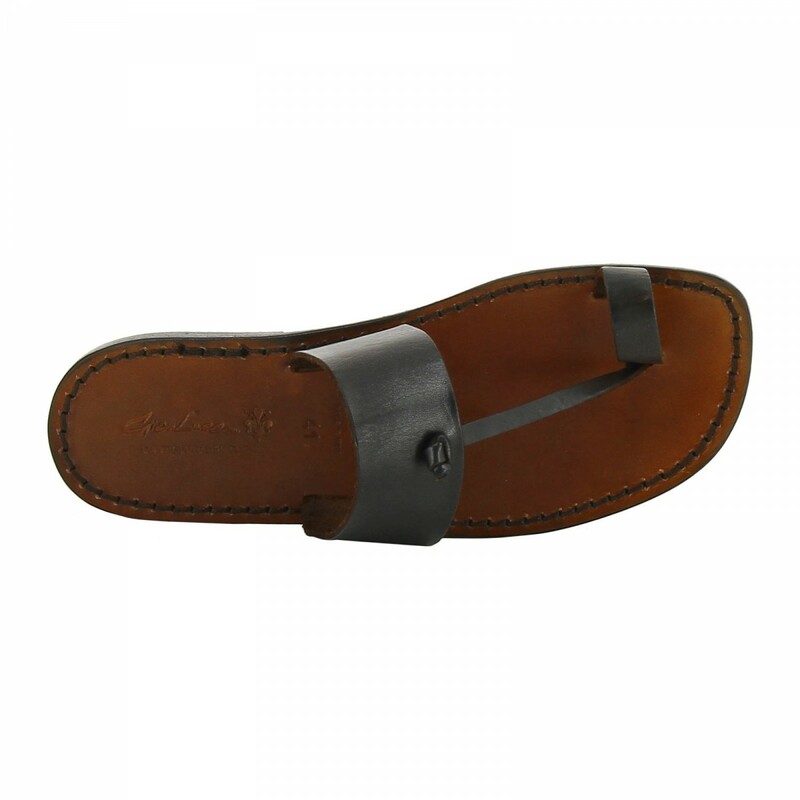 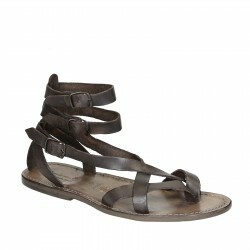 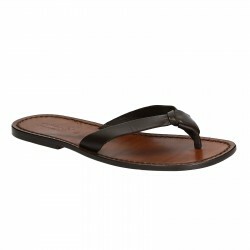 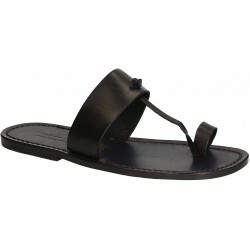 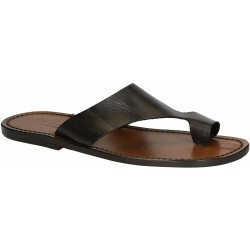 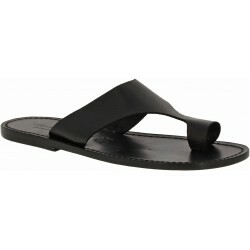 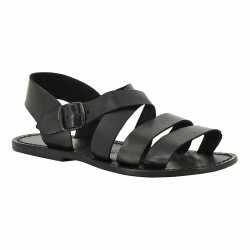 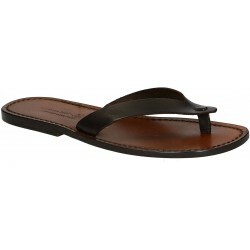 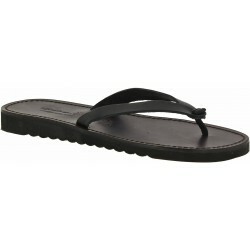 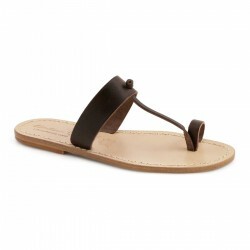 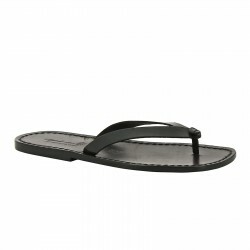 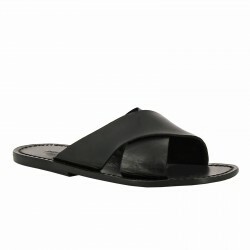 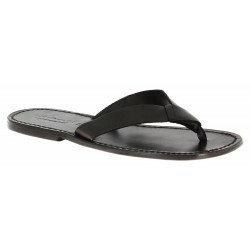 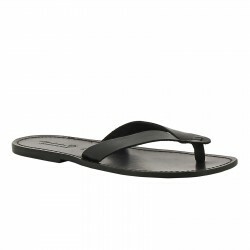 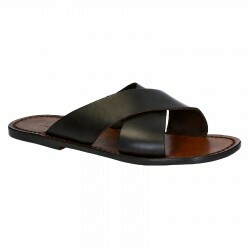 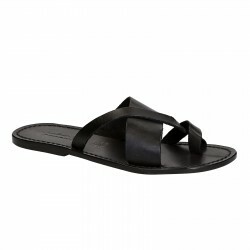 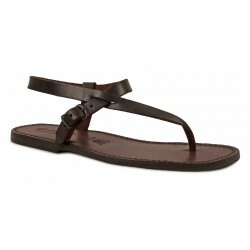 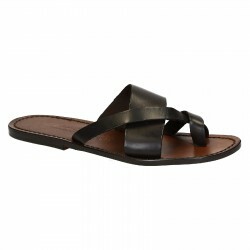 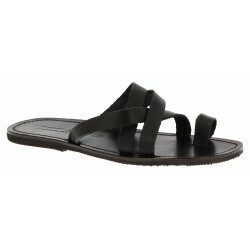 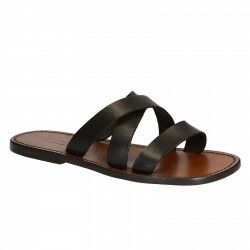 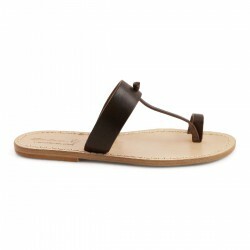 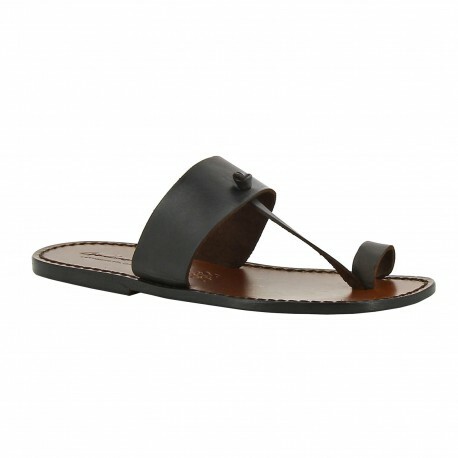 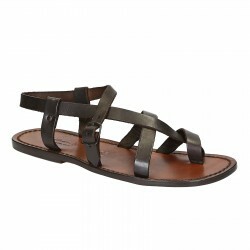 Dark Brown greesed vachetta leather slades thongs around the big toe and leather sole handmade in Italy without the use foreign or child labor, but by experts in the best tradition of craftsmanship. 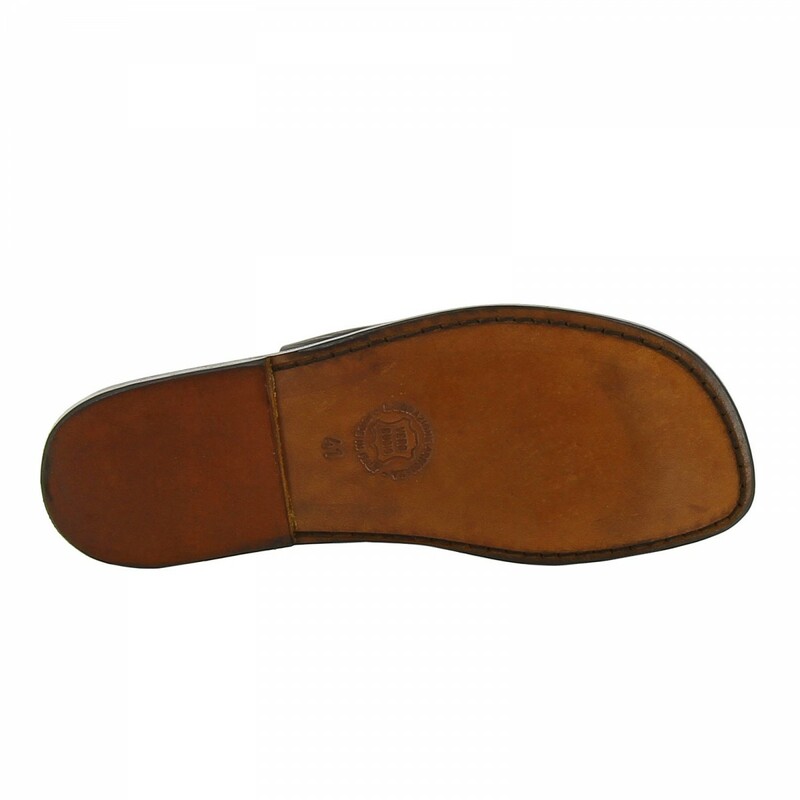 The sole is hand stitched on the insole providing a superior finish and durability than the industrial system which is simply pasted. 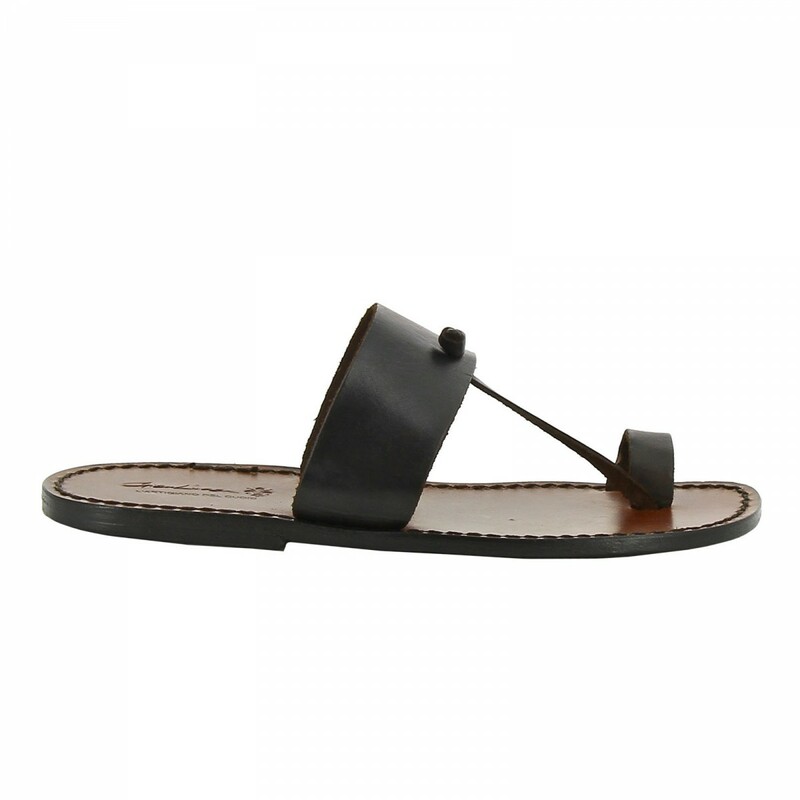 For staining the thongs are manual dipped in a VEGETABLE colour, manual finishing by the usage of small brushes and as final step, drying at the open air. 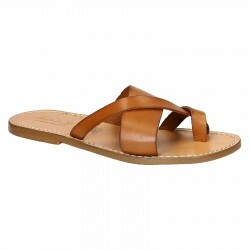 This process takes as a result called TUFFATO, which many companies do not spend more because it requires a work of extreme precision that slows down production time.